I want to write testable code, but how do I get started? So, I’m writing this post to help you take those first steps. I’m hoping this gives you a simple metaphor you can use to help think about making code testable and reusable. It’s not a silver bullet; this is just one perspective on one technique for writing testable code. And it doesn’t even start with tests! And, like any tool, you can use it wrong. 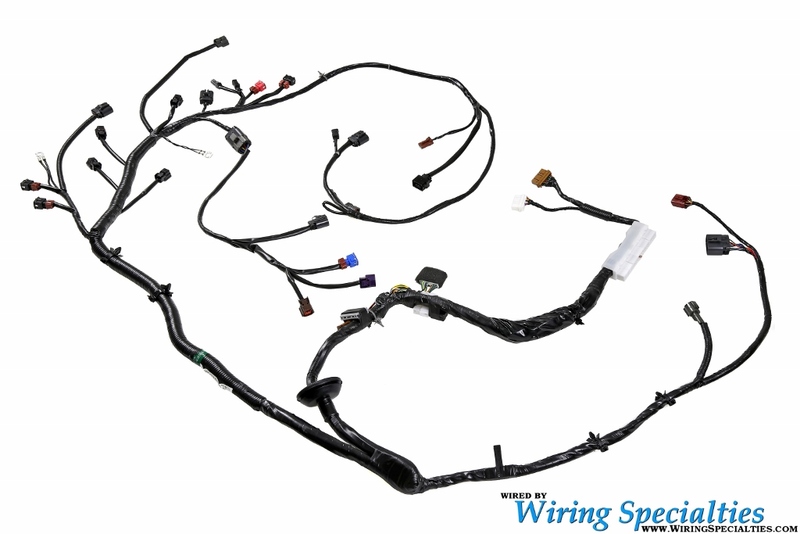 A wiring harness is nothing more complicated than a group of wires (ins and outs) bundled together by some kind of connector, tape, insulation, or ties. All the operations in a piece of code – a method, an object, a module – can be seen as a series of inputs and outputs. Imagine the code block as a plastic connector. The inputs are wires coming from one end of the block, and outputs are wires coming out the other side. $author = \Cache::get($id); // <-- static function. ouch. What is this method responsible for knowing? 1. \Cache::get() and \DB::find() are static methods, and really complicated to mock or stub. 2. new \View() is also really difficult to mock or stub, and generally has to be replaced with Dependency Injection (or refactoring!). What will we have to Mock or Stub or Inject to get this under test? This is too much! Having to set up and tear down this much architecture to test such small functionality is crazy. But with a little heuristic refactoring, we can make the test match the size of the functionality. Using $_GET directly is dangerous. First, because it’s an array, you must always check for isset(). Second, because you never never trust user input! * Safely retrieve search from $_GET. This is a lot better – there are still some issues though. I still think of calling out to the DB as an output. It results in an input, but should be moved to its own “connector”. Are we seeing the bundling? Now the Author inputs are all wrapped up nicely, as are the Search results. Great, you rearranged the code and took 40 lines instead of 16. Good for you. But now we can test this method so easily! There are only 3, and each is reflected in 1 line of code. Not only that, but I would argue this method might not even *need* testing anymore. Even if we did, what do we have to mock? Each new method we created also has limited responsibilities, and could be worked on and refactored further. I hope this helps you develop an intuitive sense of what testable code can look like. This is just the beginning. Now go forth and test!